There is much excitement about Web 2.0 as an unprecedented, novel, community-building space for experiencing, producing, and consuming leisure, particularly through social network sites. What is needed is a perspective that is invested in neither a utopian or dystopian posture but sees historical continuity to this cyberleisure geography. This book investigates the digital public sphere by drawing parallels to another leisure space that shares its rhetoric of being open, democratic, and free for all: the urban park. It makes the case that the history and politics of public parks as an urban commons provides fresh insight into contemporary debates on corporatization, democratization and privatization of the digital commons. This book takes the reader on a metaphorical journey through multiple forms of public parks such as Protest Parks, Walled Gardens, Corporate Parks, Fantasy Parks, and Global Parks, addressing issues such as virtual activism, online privacy/surveillance, digital labor, branding, and globalization of digital networks. Ranging from the 19th century British factory garden to Tokyo Disneyland, this book offers numerous spatial metaphors to bring to life aspects of new media spaces. 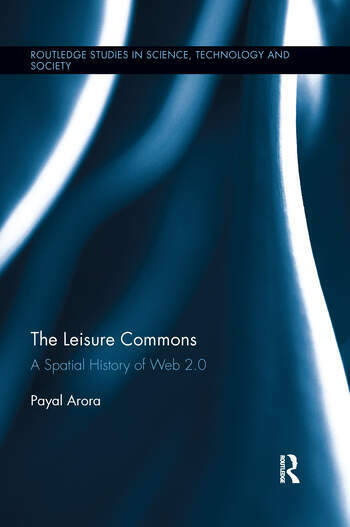 Readers looking for an interdisciplinary, historical and spatial approach to staid Web 2.0 discourses will undoubtedly benefit from this text. Payal Arora is Assistant Professor in the Department of Media and Communication and Media at Erasmus University Rotterdam. She is author of Dot Com Mantra: Social Computing in the Central Himalayas (Ashgate, 2010) and winner of the 2010 Social Informatics Best Paper Award in 2010 from ASIS&T.